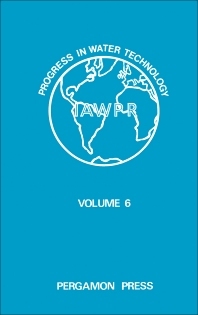 Progress in Water Technology, Volume 6: Instrumentation Control and Automation for Waste-Water Treatment Systems contains the proceedings of the International Association on Water Pollution Research Workshop on Instrumentation Control and Automation for Waste-water Treatment Systems, held in London in September 1973. Contributors review major advances that have been made in instrumentation control and automation of wastewater treatment. This volume consists of 70 chapters organized into six sections. The work of the Directorate General Water Engineering in the Department of the Environment in the UK and the Environmental Protection Agency in the United States with respect to promotion of instrumentation, control, and automation for wastewater treatment systems is first discussed. This discussion is followed by a chapter that describes the effects of water pollution legislation in The Netherlands on the selection of wastewater treatment plants and their consequences for consulting engineers regarding process, technical, and economical feasibility. A real-time water quality management system for a major river in Pennsylvania is also considered, along with effluent control and instrumentation in Europe. The chapters that follow focus on instrumentation and control problems in the design of a modern sewage works; installation of field equipment in automated process control systems; process control for biological treatment of organic industrial wastewaters; and the use of computers to control sewage treatment. This book will be of interest to authorities, planners, and policymakers involved in wastewater treatment and water pollution control. 49. Has Your Treatment Works Too Many Instruments?